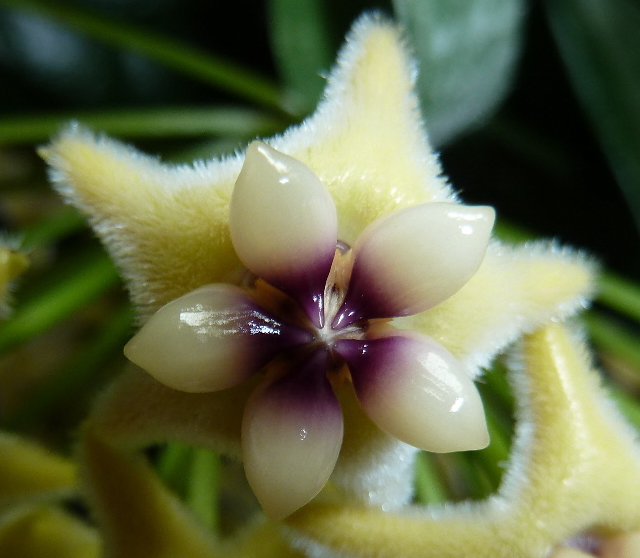 This is one great Hoya! Growth can be rampant and will quickly strangle anything around it. Leaves are thin and glossy. Like all thin leaved varieties can be prone to spider mites; keep a look out. The blossoms are extraordinary – they look like they were cast in wax – photos don’t do the blooms justice. This is an easy grower that can tolerate less than ideal conditions. Mine blooms in the summer, in the greenhouse. It first bloomed for me at 2 years of age. This is a must have if you can keep the growth under control. 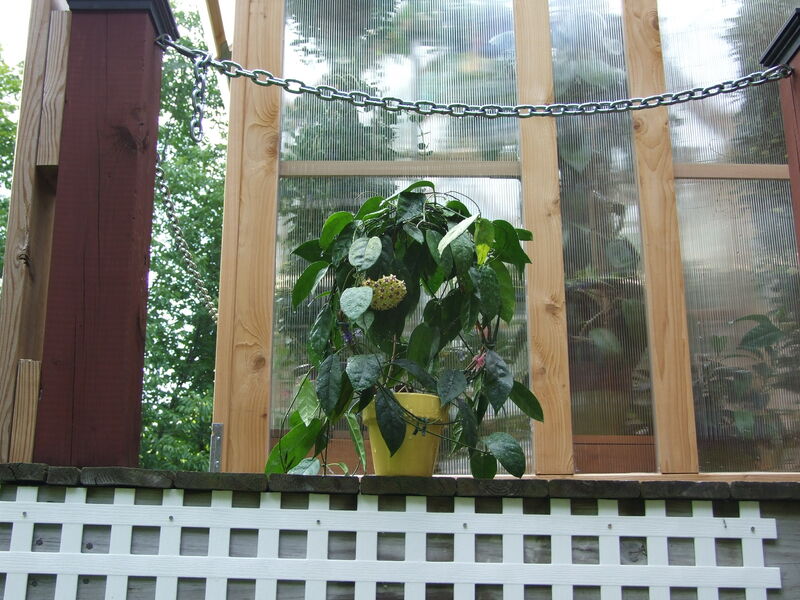 I am updating this entry to say that this Hoya will bloom in the spring as well as summer. 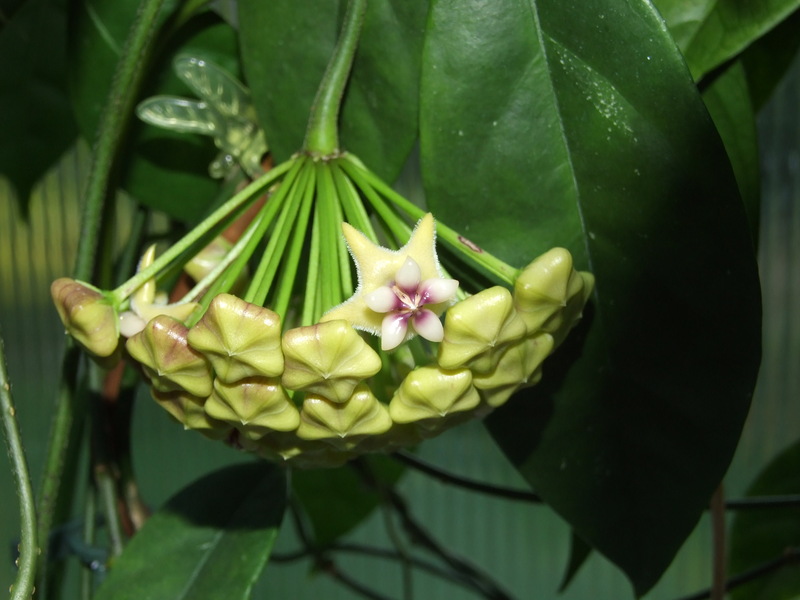 It is currently April 4, 2011, and the plant is in full bloom. ***Update*** After re-potting this plant in the autumn of 2011, it rapidly went downhill, and I was only able to save it from taking a last minute cutting. It is now spring of 2014, and it is blooming for the first time from that cutting struck in the January of 2012. I believe that somehow I messed up with the watering of this plant after the transplanting in 2011 and that is what led to its demise. Let me say that when this Hoya decides to die, there is no pulling it back!